The Vassals return in spectacularly nerdy fashion to rant and rave about Critical Role, a popular Dungeons and Dragons live show on Twitch.tv and Youtube. Join Alex (LuckyCharms), Bing (Shoeshiner), Paul (Pod’s Plight), and Zach (Alias) as they talk favorite characters and moments throughout the show’s run, and consider just what is so special about this whole tabletop roleplaying thing. 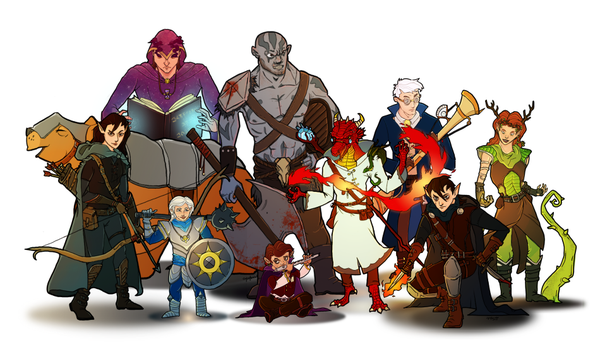 This podcast will contain spoilers for all episodes of Critical Role up through episode 89. You have been warned. 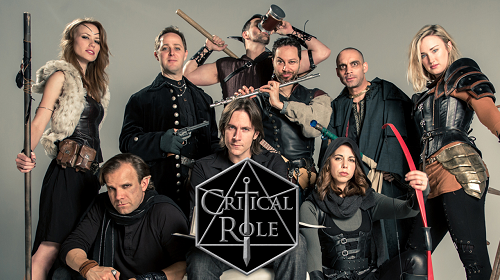 Critical Role airs every Thursday at 7 PM PST on the Geek and Sundry Twitch channel. The recorded episode is published on their website the following Monday. Click here if you’d like to watch the show from the beginning. This entry was posted in Board Games & Trivia, Fandom, Podcast, TV Shows and tagged Alias, LuckyCharms, Pod's Plight, Shoeshiner. Bookmark the permalink.